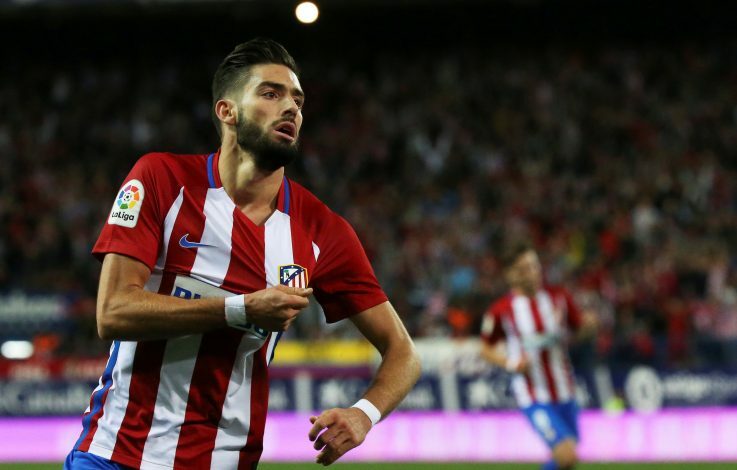 Premier League giants Chelsea have entered the race to sign Atletico Madrid star Yannick Carrasco, as per Spanish outlet Don Balon. With rumours of a supposed rift between Chelsea boss Antonio Conte and star striker Diego Costa still at large, the Blues seem to have already began looking for possible attacking talents, if not perfect replacements, for their controversial Spanish international. Earlier reports claimed Chelsea had joined Manchester United in pursuit of Antoine Griezmann, but following the news hinting at the Red Devils reaching a ‘verbal agreement’ with the Frenchman’s representatives, the London club had no option but to back out and look for alternatives. And it now looks like they have found one, in the form of Griezmann’s fellow club teammate: Yannick Carrasco. Carrasco, who joined Atletico Madrid from Monaco in a £17 million deal back in 2015, has been enjoying a decent season so far. The Belgian international has already been involved in as many as 12 goals in 29 appearances for both club and country, and such impressive displays of his have attracted interest from numerous European powerhouses, with Chelsea being one of them. Having already failed to sign Lukaku in the summer of 2016, and with Costa very likely to leave in the summer of 2017, Conte is now ready to do whatever it takes to sign Carrasco up at the end of this season. As per the sources, the Italian manager has informed the likes of Michy Batshuayi, Thibaut Courtois, and Eden Hazard – Carrasco’s international teammates – to approach the Atletico man and convince him to make a summer switch. However, Conte and co. will not find it easy to pull this deal off, especially due to the fact that the 23-year-old recently extended his contract with the La Liga outfit till 2022, and now has a mammoth buyout clause worth £86m. Looks like the £60m Chelsea earned from the sale of Oscar to China earlier this month will certainly come in handy this summer.